Change is constant and every new season in the world of fashion and design is a great opportunity to refresh our personal style and enrich the appearance of our home and office. Good planning for more significant renovation of your home gives you the chance to redecorate and refurnish your favorite rooms according to the new home trends for 2016 even on limited budget. Designers, artists and experts in this field have shared the forecasts for the upcoming trends for colors, styles and elements for 2016. Are you feeling overwhelmed when trying to create the best concepts for interior design for your rooms? There are two things that can help you. First, be sure you follow the fashion shows and the collections presented by world-famous designers for the fall/winter 2016. By tradition the fashion world strongly influences the interior design especially in fabrics, patterns, colors and shapes. Second, make a research for the forecast for the hot colors for the next year. One of the most attractive new home trends for 2016 is for brighter and fresher concepts. Adorn the rooms in vivid colors, especially the walls to create the perfect foundation for the trends that inspire you for the interior design. One of the most extraordinary trends that are growing rapidly in the last months is the technology. The development of the innovative tech has huge impact on products in all spheres of our lives. 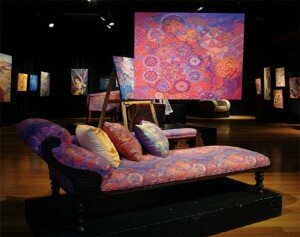 Designers create concepts with digitally printed fabrics that adorn furniture, curtains and even cushions. This trend opens up great opportunities for artists and designers to unleash their imagination and experiment with tech for real digit appearance of the rooms. Crafts and art have always been significant part of interior design and next year won’t be exception. The rustic pieces of art are especially trendy for decorating of the living rooms. The unique pieces of furniture and the hand-made accessories are widely used in the concepts for the next year.